If there's one thing defining Star Wars: The Force Awakens, opening in theaters Dec. 18, it's the fact that fans everywhere are being treated to a delightful new cast of Star Wars characters, with fresh faces coming onto the franchise to boot. New characters means more movies for years to come, as they help continue the legendary tale, in addition to providing a sense of freshness to an ongoing, intergalactic story. As excited as I am for the new faces, there’s no forgetting the original faces that have come to define the franchise. Luckily, a handful of original Star Wars characters are confirmed to return for The Force Awakens . There’s Luke Skywalker (though everything concerning his comeback is one big question mark), Han Solo, and more. However, with the confirmed characters, there are a few rumors that suggest a couple of long-gone ones may also nab some screen time. Official word has provided information on a couple of characters who have been confirmed to not be returning in The Force Awakens at all. From returning favorite to foe, here’s what we known about returning, rumored, and the characters you just won’t get to see when Star Wars: The Force Awakens hits theaters this month. According to Hamill, Luke won't be returning as "the innocent farm boy." He told Empire Magazine in an interview, "Obviously you're seeing him in a very different time in his life, there are lots of surprises in this movie. You're going to love it." I'm putting money down that Luke returns as a baddie. Looks like Princess Leia will be ditching the princess title in The Force Awakens, as she is now a general, according to director J.J. Abrams, as he revealed in an interview with Entertainment Weekly. If you've watched any of the trailers, everyone's favorite Millennium Falcon captain will returning and we can hardly wait to see what he'll get up to next in the new movie. R2-D2 has some serious competition when it comes to the new addition of the super cute android BB-8, but there's nothing but mad love for this classic blue-and-white Star Wars bot. Because where would Han Solo be without his famously hairy BFF? The more robots, the better, am I right? 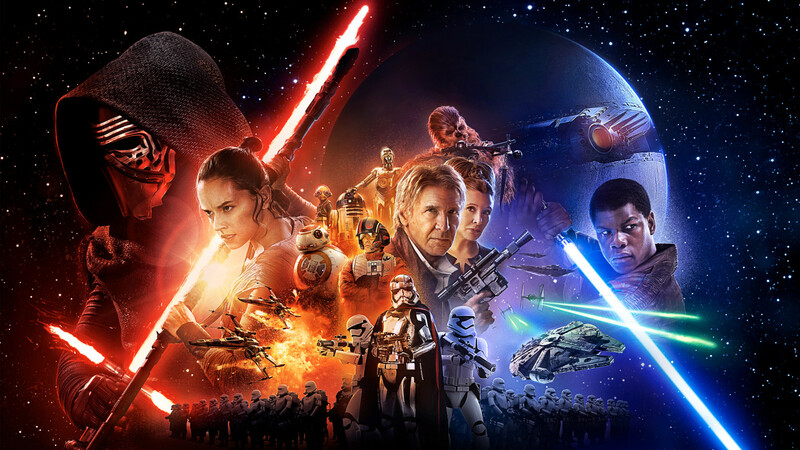 Most notably, C-3PO is sporting one very red arm in promo images for The Force Awakens. You'll be able to learn the backstory behind the new body part in a special one-shot comic from Marvel. Rejoice Star Wars fans! The origin of one of everyone's favorite Internet memes is poised to make a comeback. Remember this fella? Not nearly as popular as let's say, Han Solo, this little guy has been confirmed to at least make a cameo, according to his puppeteer, Mike Quinn. There have been whispers across the web that Yoda will return in ghostly form, which is entirely possible, so let's keep our fingers crossed! A vague quote from Mark Hamill himself has instilled within fans a bit of hope that we might see one of the most infamous villains of all time return in some form (perhaps as another ghost?). Sorry guys — you won't be seeing Jar Jar or the Ewoks in The Force Awakens. This news was confirmed in a press conference by producer Kathleen Kennedy and by Abrams himself. Given how much is still being kept under wraps about The Force Awakens, don't be surprised when you see the movie in theaters because almost anything (or anyone) is fair game for showing up to this grand space party.